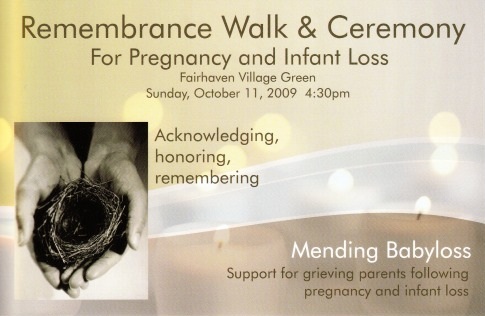 The first Remembrance Walk and Ceremony for Pregnancy and Infant Loss took place on Sunday, October 11. 2009 at 4:30pm at the Fairhaven Village Green. Approximately 40 people attended the event – Mothers, Fathers, Siblings, Grandmothers, Nurses, Social Workers, and Midwives. 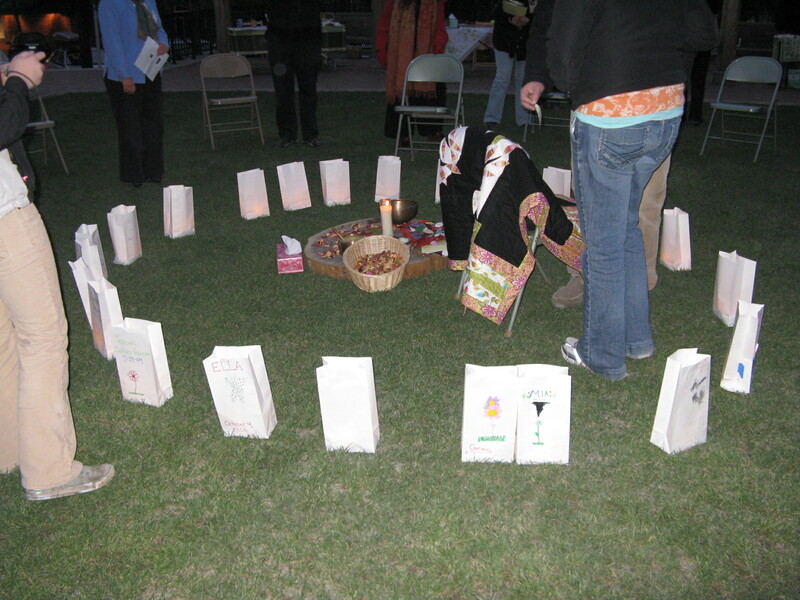 Mary Burgess wrote a beautiful summary of the event: Remembrance Walk – Memories & Photos. The Bellingham Herald also published an article about the walk: Bellingham group plans walk for parents who have lost a baby.